Classic brogue style on a welted leather sole and has full leather lining. 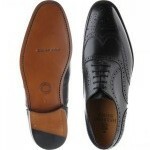 The upper is a soft black calf leather. "My second pair of the Herring Roborough, my first being in tan calf. The Roborough is on great last for my foot, and thus one of Herring's most comfortably fitting models for me. When this suede pair came on sale, I didn't hesitate to snap them up. Even when not on sale, the price is great, being lower than the Herring Made in England models. 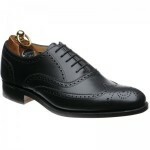 I can wear these shoes with just about any trousers in my wardrobe, and they work well with tapered jeans. 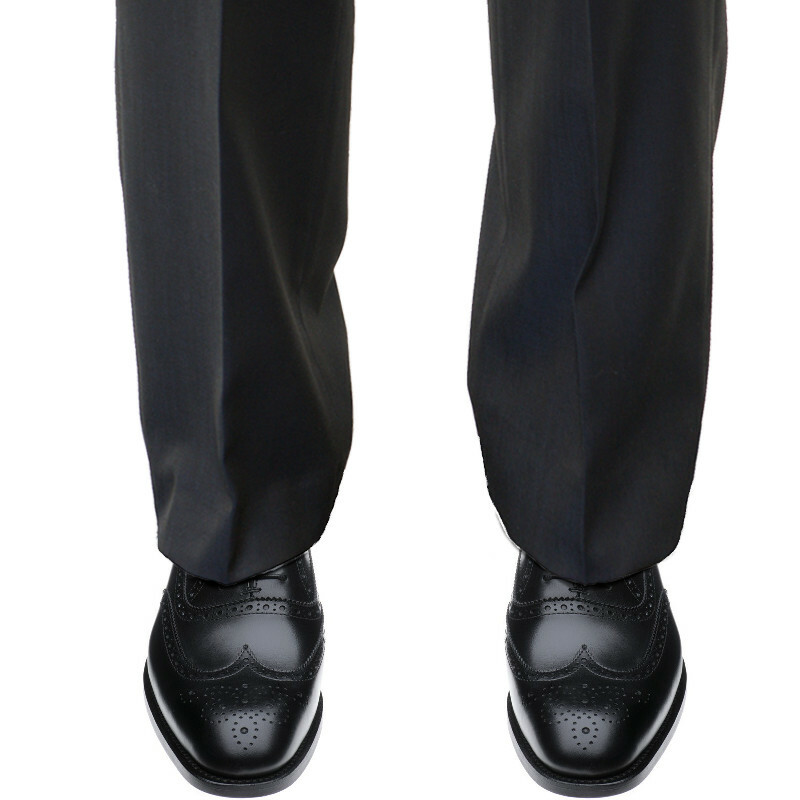 Good with lighter coloured, more casual suits too. To be avoided with darker coloured, smooth worsted suits, as they're just too much contrast with these. Based on comfort, value and aesthetic, I can't fault the brown suede Roborough. An absolute steal on sale!" "My go-to shoe to pair with summer chinos and other light-coloured trousers. The last is perfect for me, and the quality for price ratio is excellent. 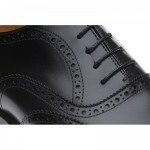 I think they're just as nice as comparable shoes Made in England for Herring." "Never had these before half a size small in width than a Loake but just as comfortable. Footbed very well supported and upper is of the finest quality. Has taken 6 months to get a really deep polished shine on them but we got there. 9 out of 10"
"Excellent Quality and great looking shoes for work. Very comfortable after a short break-in period. I also appricated the little extra's that came with them, Sturdy box for storage, dust cover, Shoe horn and good guilty Shoe cream. 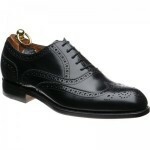 Will certainly look to Herring for my next pair of shoes. Jan Sales await. " My second pair of the Herring Roborough, my first being in tan calf. The Roborough is on great last for my foot, and thus one of Herring's most comfortably fitting models for me. When this suede pair came on sale, I didn't hesitate to snap them up. Even when not on sale, the price is great, being lower than the Herring Made in England models. I can wear these shoes with just about any trousers in my wardrobe, and they work well with tapered jeans. 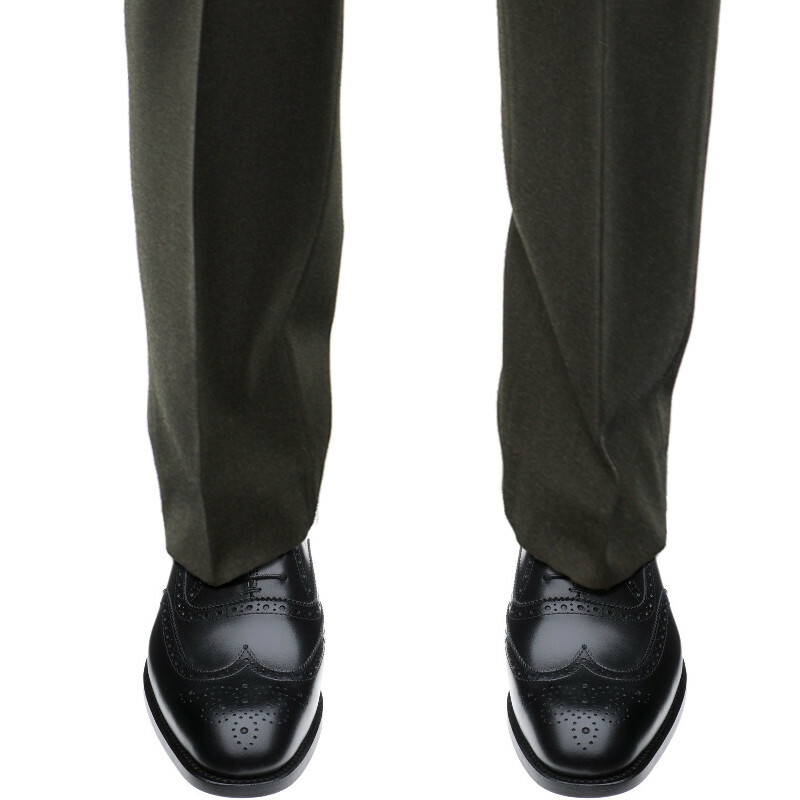 Good with lighter coloured, more casual suits too. To be avoided with darker coloured, smooth worsted suits, as they're just too much contrast with these. Based on comfort, value and aesthetic, I can't fault the brown suede Roborough. An absolute steal on sale! 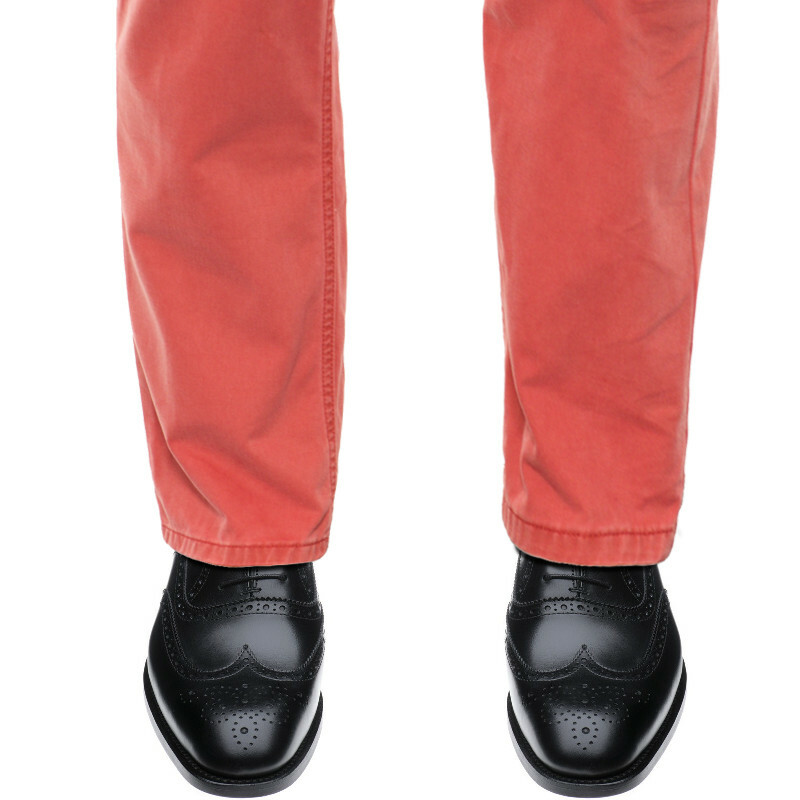 My go-to shoe to pair with summer chinos and other light-coloured trousers. The last is perfect for me, and the quality for price ratio is excellent. I think they're just as nice as comparable shoes Made in England for Herring. 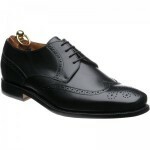 Excellent Quality and great looking shoes for work. Very comfortable after a short break-in period. I also appricated the little extra's that came with them, Sturdy box for storage, dust cover, Shoe horn and good guilty Shoe cream. Will certainly look to Herring for my next pair of shoes. Jan Sales await. Best support and best shoes. Shoes were in good condition but I returned them as I found them a little uncomfortable. No hassle with returns.